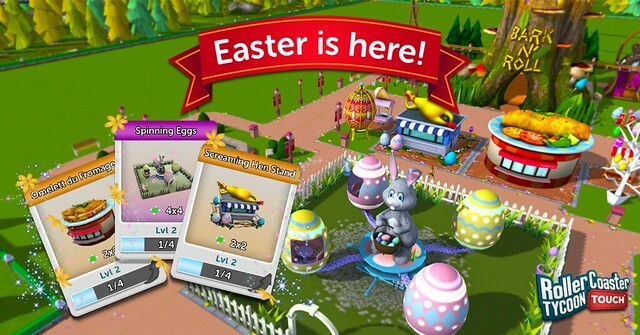 Prepare for some egg-citing new updates to RollerCoaster Tycoon® Touch™! Easter is nearly here, and Atari® is celebrating the holiday in their popular theme park management game for iOS and Android devices! Break out the pastels and Easter Eggs, don your bunny ears and baskets, and get ready to add some serious springtime cheer to your park!